My training in art began at the York Academy of Arts, York, PA. After learning the basics, I entered The Schuler School of Fine Art in Baltimore, MD. At the Schuler School, in their five year program of intensive study I began my journey as a professional artist. 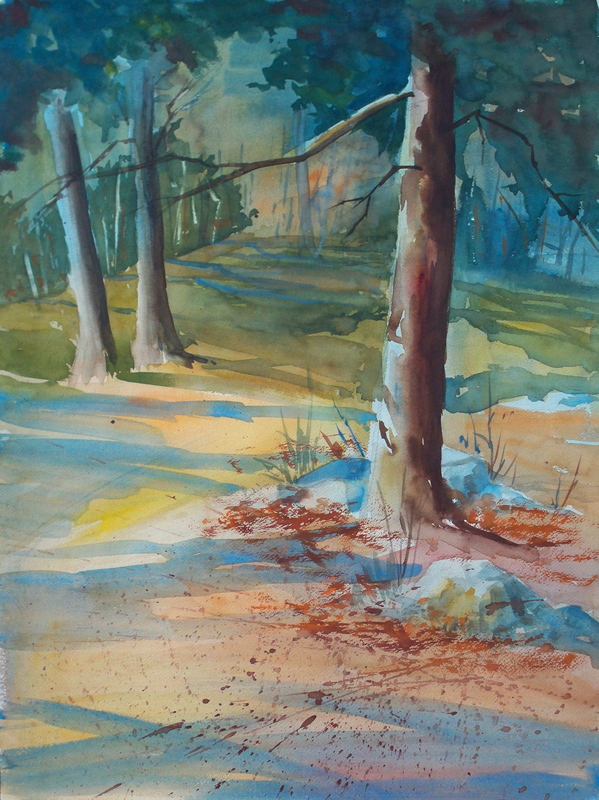 After graduating in 1985 I taught at the Mitchell School of Fine Art in Baltimore, MD for 10 years, exhibited professionally and won many awards. My creative nature keeps me forever searching for new ways to express myself. The love of texture is obvious in my paintings. I have been attending the Maryland Sheep & Wool Festival for many years. 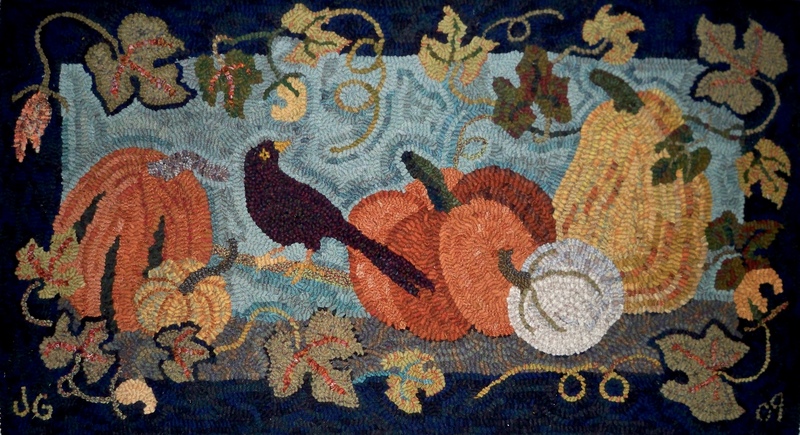 Thus, began my journey into rug hooking. I love the feel of wool from the lambs, the sheering, spinning, weaving and finally the yardage of beautiful textures. With the art of rug hooking, I start by creating the design, then dying the wool and cutting it into strips. As soon as I start actually hooking the rug the painter in me takes over and each pull of the loop becomes a stroke of the brush. Designing and selling my patterns is a natural progression. The rewarding part is seeing my designs hooked many different ways. © 2018, Woodcrest Rug Designs. All Rights Reserved.